I'd like to get rid of this book - anyone interested? Well, I finally try and get this review over with. This book has been lingering on my mind for a few months now, not because of its engaging plot or lovable characters – I did encounter neither – but because it had severely annoyed me and made me question myself and my right and qualification to judge any book at all. In the beginning I wanted to give it a rating of two stars instead of the miserly one, since I thought that it might be my fault that the book so utterly failed to entertain me. It almost robbed me of any drive to review a book again and it can call itself luckily that nothing particularly bad has happened to me in the last few months because I would surely have found a way to blame it on Evernight if it had. Perfunctorily following one of the YA author-reviewer dramas earlier this year I pondered my personal stance on book rating. While I strongly believe that reviewers are entitled to express their opinions about books whichever way they like without authors stepping in and calling them out on their opinions being wrong (because a personal opinion can never be classified as right or wrong, but just plain subjective), I am also aware that an author as an artist is also allowed to break existing literary or genre conventions. Mistaking the views expressed by a narrator in a work of fiction (be s/he 1st person, limited 3rd or omniscient) for the author expressing personal beliefs is rather oversimplifying. Creepy, disgusting narrators voicing ideas that are believed amoral by readers is not that uncommon. There’s usually supposed to be a message there. However, I would not compare the literary abilities of the ‘common YA author’ with the more sophisticated sense of avant-garde or post-modern writers. And then there’s marketing. YA novels are targeted at a certain audience; we all know that. I do, however, not share the belief that young adults should be wrapped in cotton wool and that they should not be exposed to harsh settings and diverging moral views. I’m convinced that they know how to deal with them! This does not mean that they have to like those books and they are free to express their dislike. There are many novels considered classics or canon that I absolutely despise because the views expressed disagree with me or because I found them unbelievably boring. I might be able to see why a book written a few hundred years ago had been considered revolutionary at the time of first publication, but that does not guarantee that it has any pull on my reading it today. 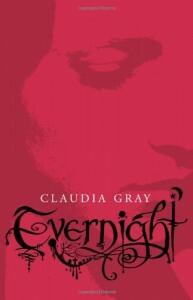 This by way of a long introduction to my rating of Evernight. As I said, I had considered giving it two stars, because it is not badly written but just didn’t bring me any joy reading it. Since I rated most of the other YA novels I recently read three stars, because they were entertaining but didn’t blow me away, I conceded that giving two stars to stars to Evernight wouldn’t be fair and would also give the wrong impression. I totally disliked the characters, the story and felt completely cheated. Gray isn’t on par with Pynchon or Joyce and I won’t give this the benefit of doubt by assuming that I must have missed something in the narration or misunderstood its purpose, so one meagre (and grudgingly given) star is all Evernight will get from me. Summary: Girl has to go to boarding school with her (teacher) parents. Girl meets boy. Girl meets school’s in-crowd. Boy shuns her. Boy and girl get together for a first date. Boy and girl get into a fight about boy’s over-protectiveness and perceived condescension. They stay away from each other for two weeks. They both suffer horribly from the separation. Enter new boy. New boy likes girl. They decide to go to Autumn Ball together. Girl leaves new boy to be with first boy. *yawn* Girl and boy make out in crisp autumn air. Things get heated and steamy. *facepalm* And then WHOOPSIE, SURPRISE! Reader learns something about girl that girl (1st person narrator btw) conveniently and miraculously neglected to mention up until this point, and it’s not a minor or irrelevant detail either. Begin of transition period. Girl and boy (still #1) are having a good time, but girl feels guilty about keeping secrets from boy. Boy finds out girl’s secret and is annoyed and spooked. Boy leaves school for Christmas break. Boy returns. Boy and girl get back together. FIGHT! Girl learns something about boy and feels betrayed. Yay for double-standards! A CHASE! A TALK! A rather lame showdown. A new variable is added to the equation. The end. To be fair, my dislike probably began with an aversion to the heroine’s (I se the term loosely) first name: Bianca. Every girl I have met who went by that name was rather obnoxious and Bianca proved not to be an exception. She’s also quite pretentious and convinced of her intellectual superiority. Proof? Her favourite books are Wuthering Heights and Jane Eyre and she feels very special about it. For reals? She also indulged in literary criticism of Bram Stoker’s Dracula which was simply preposterous. She doesn’t tire of showing the pitiable reader that her tastes are pretty sophisticated and distinguish her from the norm by throwing around allusions to classic jazz musicians, classic literature (except for Bram Stoker whose style of prose she disdains), classic movies, painters, and art in general. 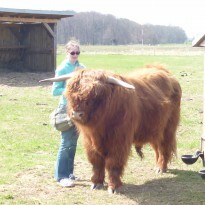 Her aloofness was rather irritating. How does she know? Is she around all the time? Is she some kind of crazy stalker type with listening devices strategically planted on Lucas or wherever he goes? Seriously? Self-absorbed much? Yes, out heroes are that special, they know stuff their characteristically stupid and uneducated demographic does not. Not that I have any idea what their peers might know or not, I just wished these two would stop celebrating and cheering for themselves. It’s so embarrassing to watch! Besides the favourite novel, Bianca and everyone’s favourite YA vampire lover (yes, of course I mean Bella Swann) share a trait: they are shy and self-conscious (as if!) and before long men will fight each other for their attention and affection. I was cringing from contact embarrassment just reading this drivel at not even the half-way point. construction workers = lower class = drunkards = troublemakers + bullies. Well, if Bianca says so… It was hard to believe that Bianca would find a way to endear herself to me even further after that, but one should not underestimate her. After Lucas and Bianca get into their first fight, she actually does the smart thing and avoids him. I don’t commend this because I believe that arguments should be avoided at all costs, but because Lucas was worryingly creepy in that situation. However, when she talks about this with her only friend Raquel she says, “’I know he overreacted. But there’s no way Lucas could ever hurt me.’” (page 102). I was literally getting sick by then, wondering whether this was turning into a story about abuse and hoping that some proper reflection on Bianca’s part might follow at some point. I was also wondering why Bianca would feel like she doesn’t fit in, because she was so wonderfully average stupid. If only she lost a bit of the high opinion she had of herself, she’d do just fine. I really wanted to smack the girl and I’m generally not a violent person. First she invents excuses for the abusive partner and suffers from self-inflicted guilt, which causes her to crawl back and apologise for not being more understanding and cooperative and mindful of the abusive partner’s feelings. What’s next?! There were so many details that didn’t make sense but were conveniently explained by the big revelation about Bianca. Since the story wasn’t very captivating, I was distracted throughout, wondering why the students would have to have lunch in their rooms, where Bianca was keeping the microwave, who would take care of the dirty dishes, would they have a fridge in their sleeping quarters or the halls, etc. After a third of the book had passed without anything remotely interesting happening there was a semi-interesting turn around page 140. And more distracting questions: How did Raquel become Bianca’s best friend all of a sudden? What’s Bianca’s definition of friendship? (She’s a lousy friend in my opinion.) What does it require to turn into her BFF? Why would she call Courtney one of her “worst enemies”? Melodramatic much? Or just extremely pampered? So, I have a few more pages of notes detailing what annoyed me in this novel, but I’ll stop here. I looked through my notes to see whether there is a single positive point I could add, but if there was I never got a chance to put it on paper for another outrage already demanding my full attention. Just one last issue: The revelation that Bianca knew all along what she is and what she would become makes her initial whining about her insecurities even more unbearable. She might be special in that [she was a vampire “born” of vampire parents instead of a “made” one], but her whole bla-bla about her shyness and her not fitting in is just as insufferable.she was a vampire “born” of vampire parents instead of a “made” one] but her whole bla-bla about her shyness and her not fitting in is just as insufferable. I have no idea why I even picked this book up (and why I had ordered the second book in the series which I’m never going to read along with the first). It must have fallen for one of these unreliable amazon recommendations. None of the goodreads reviewers I usually consult before buying a book these days rates this higher than 3 stars. If anyone wants to make themselves sick by reading these, just let me know and I’ll send them to you – I’ll even happily pay the shipping costs.